Back in August 2018, the Metuchen Council started the process of creating the Metuchen Arts District which is the first step to preserve and restore the Forum Theater. The new district includes the Forum Theater and the abandoned gas station at the corner of Main Street and Amboy Avenue. The Borough Council approved resolutions at a council meeting on Aug. 13 for the Planning Board to conduct a preliminary investigation for a redevelopment plan for the Forum Theater and the vacant site with the gas station as well as make a formal request to the Middlesex County Board of Chosen Freeholders for grant funds. The Forum Theater currently hosts plays and movies. It first opened in the 1920s, and was briefly closed in the early 2000s for a renovation project. “The idea would be for the Forum to be run by a professional theatre management company to host live music, film, family programs, live comedy, dance, lectures and many other art forms. Whenever necessary, the Forum could also host large town hall-type public meetings and be available for private rentals and special events,” Busch said. Isaac Kremer, executive director of the Metuchen Downtown Alliance, a volunteer-based, nonprofit downtown management corporation, welcomes the discussion to establish a Metuchen Arts District. “A revitalized Forum Theater will have a positive economic impact on businesses throughout the downtown while providing more entertainment options that residents want and which our market research says is needed.” Kremer said. 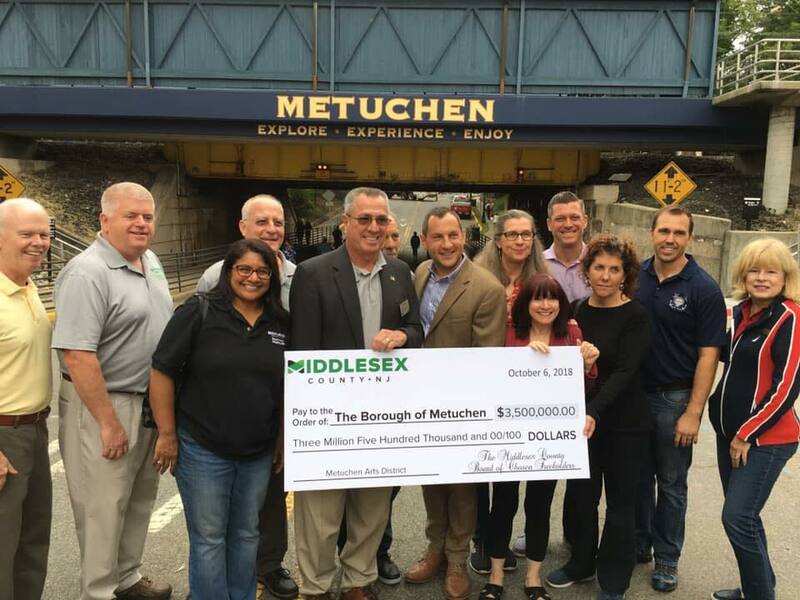 On Saturday, October 6 2018, the Borough Council Members and Metuchen Mayor Jonathan M. Busch announced that the Middlesex County Freeholders have approved a grant for the Borough in the amount of $3.5 million for the development of the new Metuchen Arts District. In the coming months, Metuchen hopes to solicit as much public input as possible on the exciting new project. “The county has been incredibly generous with Metuchen over the years with request to projects like the Metuchen Greenway, they helped us gain funds for our plaza, but they have also showed themselves to be very generous with other communities, specifically with request to the arts,” Busch said at Monday night’s meeting. Woodbridge, Carteret, and New Brunswick have all benefitted from these types of grants, Busch said.